Welcome to Fernandez Honda’s Finance Department, your auto loan and car lease facilitators. We provide excellent financing for your new car, or we can assist in used car financing. Check out our online car loan calculator for the rates on an instant car loan, and after that, you can proceed to our online finance application to see how you can finance the vehicle that you have fallen in love with. Regardless of your credit, you can qualify for an auto loan. No credit- bad credit- low credit- no problem! Our financial team will work with you to find the best car loan for your situation. Fernandez Honda has strong relationships with numerous lenders who will provide multiple financing options. We are committed to finding you the perfect car loan to suit your car finance needs. We can help you refinance your car loan or adjust the terms of your current contract. Come and get approved today! 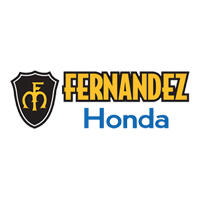 Why Finance With Fernandez Honda? The Fernandez Honda finance department has experts who are here to help you get approved with the quality car loan you’re looking for. Customer satisfaction is what we strive for, and we are always offering great incentives to make your car buying experience easier. Our finance department wants nothing more than to see you behind the wheel of your dream car! Making sure you get the financing you need at a rate you can afford is what we specialize in. Our finance professionals are here to answer all your questions and to guide you through getting a great car loan or Honda lease. How to Get Approved for a Car Loan or Honda Lease at Fernandez Honda? Getting pre-approved for car financing online is a great way to get a head start. By applying online, Fernandez Honda customers can save themselves a lot of time in the dealership. Online applications are safe and secured with data encryption; so you know your personal information is protected. Once you have filled out the online application; it is reviewed by our finance managers who then reach out to you with questions or to schedule a test drive on a vehicle of your choice. It is also highly advisable to call the dealership yourself right after filling out your application and schedule a test drive. Most of the time; customers get so worried about auto financing that they overlook the most important part, picking the vehicle they want. The best thing to do is to come down to our San Antonio area Honda dealership. Test drive the vehicle you are interested in and let your sales consultant know that you also need auto financing or Honda leasing options. This will significantly expedite your process. So while you choose your next ride, our finance department can gather the information they need to get you approved for a car loan. Although it is not always needed or required, it is a good idea to have some cash on hand. It can help get you a loan approval or for money due at signing for a Honda lease deal in San Antonio, TX. A down payment is also a great way to reduce the amount you need to pay back in monthly payments. If you have a specific question for our team call (210) 714-9861 today. Simply put, financing a vehicle means once you have made all the payments; you will own the vehicle. When you lease a vehicle; you are basically renting it for the “agreed term” between you and the dealer. Once the term is up, you may choose to finance the remainder of the loan or get a lease on another one. If you have specific questions or need help deciding which option is best for you; contact the Fernandez Honda finance department today. There are quite a few ways to find financing for a vehicle. The first step is to get started today on planning financing for your next new Honda or any used vehicle on our lot. Anyone can use our payment calculator to see how much a payment would be on their new vehicle when financing with us. Also, see how much your old vehicle is worth with our value your trade application. Are you ready to start financing a new or used vehicle? Fill out the finance application form today, and we will get back to you as quickly as possible to show you what financing options are available to you. You can also visit our dealership at 8015 Interstate 35 S, San Antonio, TX 78224, or give us a call anytime at (210) 928-1500. If you have any questions regarding your new or used Car or SUV, please visit our Auto Loan Questions You Should Be Asking Your Car Dealer page.